Vansdirect - now on TV! Vansdirect – now on TV! Vansdirect is back on TV! 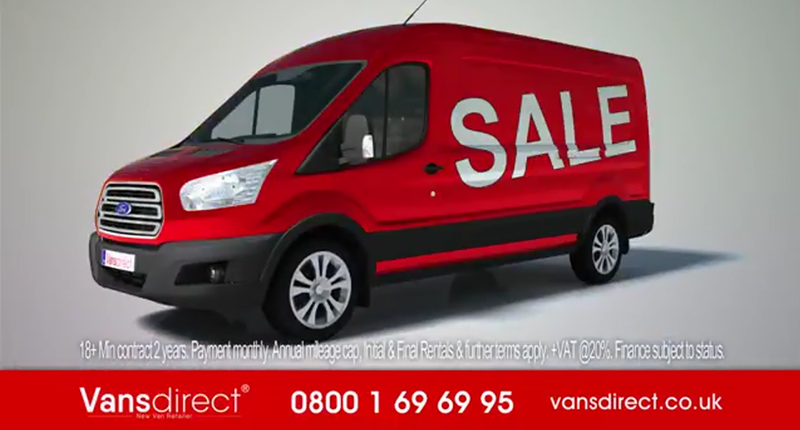 Years after the last television campaign featuring a well-known gardening show presenter, Vansdirect is back with a new 30-second advert – showing on a Sky box near you! Haven’t seen it yet? You can watch it right here! Our new van range includes sale, stock or bespoke vans, so whether you want a small van, a large van – or something in between – we have the van for you. All new vans come with full manufacturers warranty and free delivery to UK mainland. Our flexible finance terms range from two to five years, while prices start from just £25 (+ VAT) per week! Business Van of the Year 2019 – All the award winning new vans!